I dunno if this is a “legit” way of discovering new music, but if a band makes a habit of playing shows in the UK with any kind of regularity I make the effort to give them a listen. 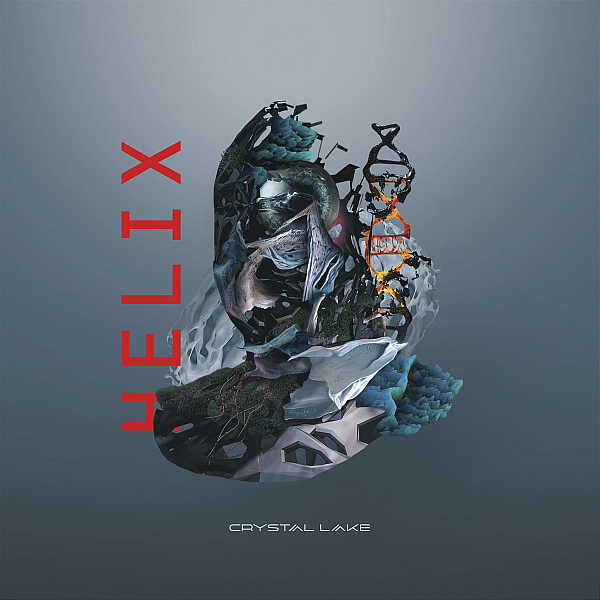 Crystal Lake are one of those bands I’ve heard a bit about, so I made a point to check out their new album “HELIX” to see what they were bringing to the table. I guess “Metalcore plus other stuff” would be a decent, although admittedly simplified way of describing their sound. There’s a bunch of influences here, and some of them are executed better than others I have to say. Tracks like “Aeon”, “Agony” and “Sanctuary” stand out as some great examples of what you can do in Metalcore in 2018/19 but then you have tracks like “Just Confusing” which…you’re left scratching your head over. On the whole this is a pretty decent album that blends Metalcore with Rap, Glitch and other such genres. You might not end up liking everything that’s on offer but most people should find at least a couple of songs that they connect with.